ECO Spot LED C90E-SO - Exterior Weather and Water Resistant LED Wide Angle Gobo Projector with Amazing Price-Performance. The same cutting Edge LED Technology of our popular Eco Spot B90 combined with an extremely efficient wide angle optical system that powers or C Series projectors. 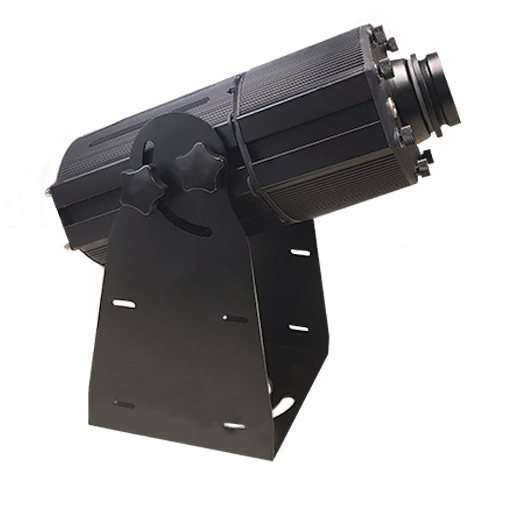 The C90E-SO is our extra wide angle projection solution with the more powerful 90 watt LED. You can now project huge wide angle images and effects with more power then before, adding even more versatility to our 90 watt projector line. This projector requires your gobo to have a max Image Diameter of 22mm to allow for full projection of the image without cutting off or losing the ability to focus the image. 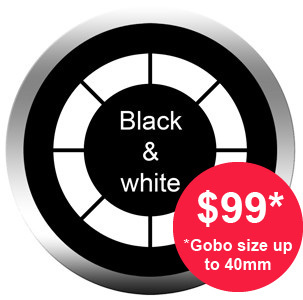 Please choose 22mm Image Diameter when ordering this item.